Dr Wrotslavsky completed his orthopedic fellowship (Chief Fellow) at The Limb Reconstruction Fellowship Program at the International Center for Limb Lengthening in Baltimore, Maryland under the guidance of Dr. Dror Paley and Dr. John Herzenberg. His fellowship experience included the in-depth study, prevention, and treatment of limb threatening foot conditions, infections, diabetic charcot neuroarthropathy, nonunions, malunions, and congenital and posttraumatic limb deformities. He has adopted techniques derived from the science of distraction osteogenesis.He is adept at utilizing the full gamut of orthopedic fixation materials, including screws, wires, plates, intramedullary rods, and monolateral and circular fixators (Ilizarov and Taylor Spatial Frame) in the treatment and correction of deformities. His foot and ankle surgical residency training took place in an inner city hospital in New York City, where he worked with a multidisciplinary team of general, podiatric, orthopedic and vascular physicians and surgeons and provided a wide variety of foot and ankle care including wound care, ankle arthroscopy, diabetic limb salvage and reconstruction, flatfoot reconstruction, neurological cavo-varus foot reconstruction and management of trauma to the foot and ankle. Dr Wrotslavsky’s fellowship and residency training has taught him to perform a full biomechanical exam identifying lower extremity pathology from spine to foot.He enjoys working with a team of physicians identifying the patients’ pathology and providing the appropriate treatment. 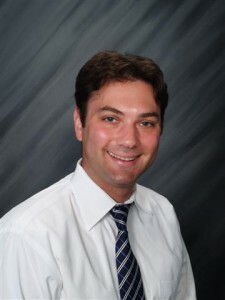 Dr Wrotslavsky is licensed to practice in the state of California and is board certified in Foot Surgery by the American Board of Podiatric Surgery . He is a fellow of the American College of Foot and Ankle Surgeons (ACFAS). Dr Wotslavsky performs surgery at Scripps Mercy Hospital and Pomerado Hospital . Have you been told that “you need foot or ankle surgery and the only procedure that will work is a joint fusion or joint replacement”. Dr. Wrotslavsky takes pride in using joint preservation techniques. Where fusing or replacing a joint is a last resort. There are many downsides to joint fusions. Primarily when a joint is fused, the joints proximal and distal (behind and in front) to that fused joint will need to make up for that lost motion, thus recreating the pain elsewhere. Joint replacements can have their problems as well, one does not always get the amount of motion promised. Keep in mind if the fusion or replacement fails you are left with a significant amount of bone loss and a shortened toe or foot. Dr. Wrotslavsky employs the latest surgical techniques to aggressively treat infections in the foot and ankle with focus on lower limb preservation and functionality. He actively educates his patients and their families on the techniques available, providing them with a comprehensive understanding of the risks, the possible complications, and the post surgical rehabilitation process for the procedure. Dr. Wrotslavsky is particularly interested in congenital clubfoot and employs a nonsurgical treatment called the Ponseti method to correct this deformity without invasive cutting of muscles and tendons.